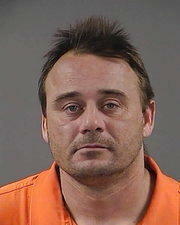 Douglas Ray Cropper, 41, of Oakland, Ky. has been arrested according to the Kentucky State Police. On Friday, the Kentucky State Police said Douglas Ray Cropper of Oakland, KY has been arrested. Arrest warrants were issued for a count of complicity to murder and tampering with physical evidence. He is currently lodged in the Todd County Detention Center. On Monday, 47-year-old Jerry Robertson was discovered fatally shot in his vehicle on Stateline Road. Four suspects were arrested on Thursday and are held in the Logan and Hart County Jails. 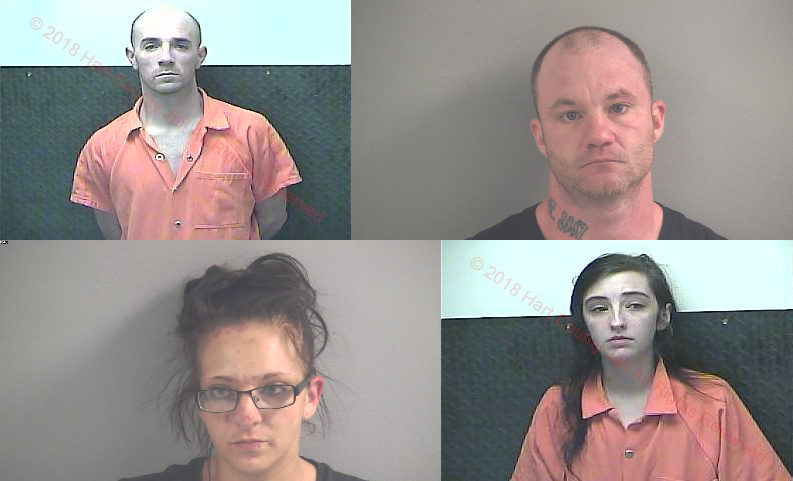 Mugshots clockwise from left: Timmie Latham, Daniel Westbrook, Faith Martin, and Brandi Scruggs. UPDATE: The Kentucky State Police Post 2 Detectives are searching for another suspect in connection with the death of a Todd County man. Law enforcement is searching for 41-year-old Douglas Ray Cropper of Oakland, KY. Douglas is a white male, 5’8” tall, 200 to 230 pounds, with green eyes and brown hair. Arrest warrants have been issued for Cropper for one count Complicity to Murder and one count of Tampering with Physical Evidence. If anyone has information on the location of Cropper, please contact KSP Post 2 at 270-676-3313 or via the Kentucky State Police App. Callers may remain anonymous. Earlier: The Kentucky State Police arrested four individuals in relation to the September 23rd shooting death of Jerry Robertson. Daniel Westbrook of Russellville is charged with one count of Murder. Brandi Scruggs of Guthrie, Timmie Latham of Bowling Green and Faith Martin of Bowling Green were also arrested and each charged with one count of Complicity to Murder and one count of Tampering With Physical Evidence. Westbrook and Scruggs are lodged at the Logan County Jail. Latham and Martin are held at the Hart County Jail. Kentucky State Police said the investigation is still ongoing. Police said on Monday they received a call on Sunday afternoon of a suspicious vehicle on Stateline Road. Troopers arrived on scene and discovered 47-year-old Jerry Robertson of Guthrie had been fatally shot. Todd County Coroner pronounced Robertson deceased.